Inanimate physical objects do not carry out their own will. They are used in conjunction with the intentions of the user. Anything can become a weapon, even your own hands. 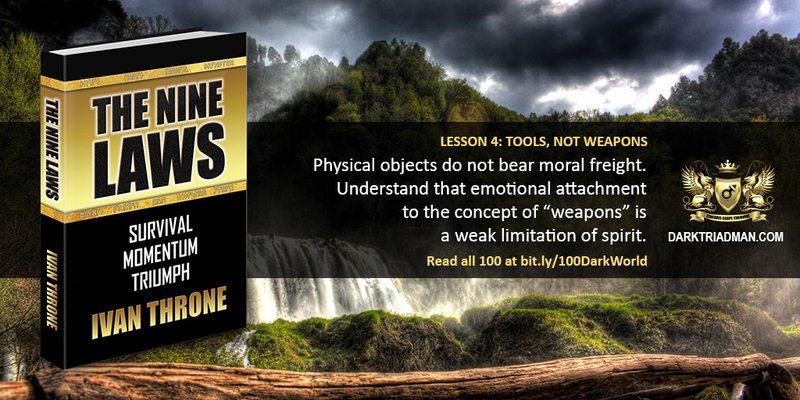 Emotional attachment to the concept of “weapons” is both pathetic and pointless. It will only hold you back.